The future is yours if you make the right moves. Pet industry trends indicate that business is strong and growing for pet professionals and product retailers. For the last five years there has been an overall 3.4 percent annual increase to industry revenue, and the industry is projected to grow 4 percent annually through 2018. But the trends also indicate that to be prosperous, changes will have to occur. Competition for standard pet products has also been strong and will continue to be so. Supermarkets, mass merchants and the larger pet retailers are able to offer a broad range of foods and products, and often at lower prices. Online retailers are taking their share of the pie as well. However, change is in the air. 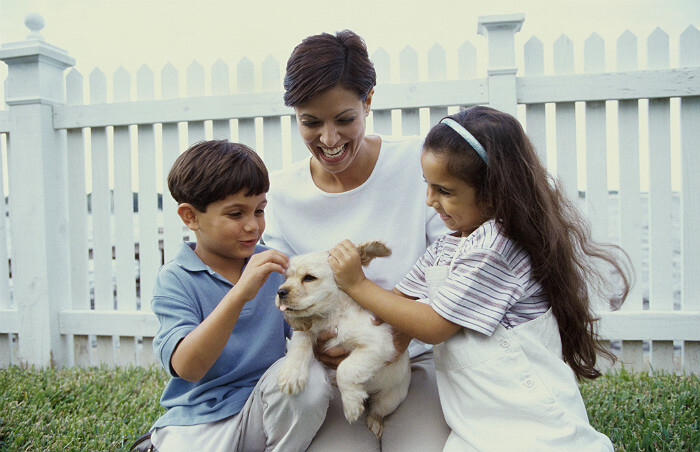 Pets are being treated as family members and rewarded in human terms. A growing “pet parenting” trend among owners has resulted in the emergence of a variety of specialized pet services and products. At no other time in the industry's history has there been such a wide and growing variety of products and services available for pet parents and their charges. For many pet owners, premium diets have become a mainstay. Sales of organic and natural premium pet foods and treats are escalating. Pet boarding and grooming, dog walking and training, pet therapy sessions, and even pet insurance will be some of the most lucrative services in the coming years. 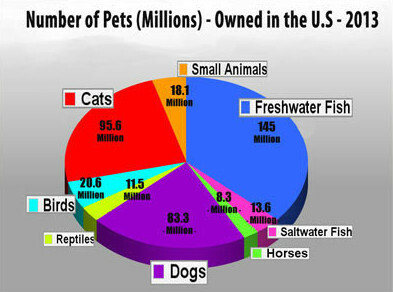 The pet industry is growing and on the verge of an even bigger expansion. Pet businesses of all types can position themselves for future sustenance and prosperity. 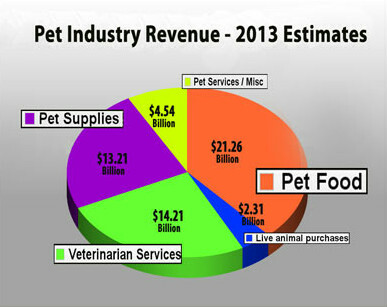 Revisit the Pet Industry Trends for 2014 and Beyond and identify growth areas, both in products and services. Determine those areas that you currently engage in well and also identify the areas in which you are weak or lacking. Armed with that information, any and all pet business can position themselves for success in the years to come. If you’re thinking of entering the pet industry sector, now is a great time. The industry prospects look great, with an expected increase of almost 8 percent in the number of new specialty pet businesses. The only question you need to answer is which type of pet business to enter into. Understanding the pet industry trends is one half of the equation; the other half is understanding your marketplace. A market analysis of your area will help you determine what types of products and services your community will best support. An in-depth analysis of the demographics including age, income and ethnic mix, as well as the competition, will provide a good indication of the types of businesses that will be most successful. For existing business, an awareness of the changing demographics of your customer base as well as a solid knowledge of your competition is equally important. With that information, you can use the upcoming pet trends to your advantage. To grow a successful pet business, it’s important that you know your customer base and have your thumb on the pulse of a changing culture. The types of pet owners you are servicing today and those you service 10 years from now will be totally different. Currently, baby boomers (48-68 years of age) comprise about 28 percent of pet owners, Gen X (33-48 years of age) makes up around 24 percent, and millennials (24-33 years of age) are the lowest level at about 18 percent. Barrie Dawson, in a recent article The Changing Face of Pet Ownership, discusses fundamental changes that are emerging in pet ownership across the country. In referencing statements from Bob Veteran, president and CEO of the American Pet Products Association, he cites three major changing demographic factors that will affect the industry. The first will be a reduced number of pet owners as the large baby boomer and Gen X groups age. The good news is this dedicated group has pushed the drop-off age to about 70 years, up from 60-65 years of age. Second is an insignificant replacement group. The aging millennials consist of only about one-third as many pet owners as the first two groups combined. Lastly, there will be a shift in pet ownership to a more diverse mix of ethnic groups. Dawson says pet businesses will have to respond "to maintain success to the year 2020 and beyond." With the majority of pet owners aging, they will respond to businesses offering products and services that make their pet keeping experience easy. Such things as specialty products for smaller pets and expanded services like dog walking, pet sitting and even assistance with cleaning up pet excrement from an owner's yard. Dawson further states that “today Hispanics make up 20 percent of the population — on their way to as much as 30 percent in another generation — but Asians and other minorities are becoming more prominent, too." Demographers say that by 2038 more than half of the people living in the U.S. will be nonwhite or Hispanic. To be successful, both existing pet businesses and newcomers need to consider everything that is trending upwards. For example, if you are primarily a retailer, you need to discover what specialty products can you add or expand on and what services can you offer. If you are primarily a service provider, then ask yourself what additional services or complementary products can you provide. The types of specialty products and services vary considerably. The usefulness of each is also dependent on the types of customers you are servicing. You will find that some will be feasible for your business, while others may simply not be. Once you’ve identified possible products and services that can enhance your business, then examine each in depth. Determine the up-front and ongoing costs, as well as the time requirements for each. These may include additional retail space, set-up and purchasing costs, training and/or hiring experts, and marketing and advertising. For an even better perspective, break each product or service down further. Identify the costs and time of both a “high-end” offering, with all the bells and whistles, and a “low-end” offering, with the most minimal investment. For example, a pet store may decide to offer dog-training services. A high end offering could be setting up individual appointments with your expert trainer, while a low-end offering could be a Saturday morning group dog training session. Cost and time requirements will vary accordingly. Pet parents will be looking for more than just price. Small independents tend to be the most knowledgeable, and experienced pet professionals are able to offer expert advice on a variety of pet related issues. As a small business, you are already positioned as the place for pet owners to go and are poised to make the most of this trend. But you will need to be nimble and capitalize on your ability to offer personalized customer services. A visit to a pet store is an exciting adventure. A pet business with a diverse offering of livestock and/or products provides a rewarding experience for customers. Customers come to have fun and view their visit as one of entertainment. They don’t come with the negatives that they may associate with many other types of businesses, i.e. having to pay a bill, fix a broken water pipe, see a doctor and so forth. The total number of pets owned in the United States varies greatly by type, as does the amount of money spent for different types of products and services. 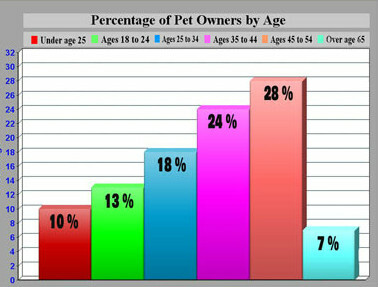 The charts show an overview as reported in The 2013-2014 APPA National Pet Owners Survey Statistics: Pet Ownership & Annual Expenses. These provide a glimpse of the nation as a whole, but your actually product and service offerings may be much different, depending on your particular customer base. Attractive product presentation: In order to appeal to customers and encourage purchases, eye-catching promotions and displays are essential for pet stores. Experienced work force: It is important to employ a highly capable staff with clear knowledge of the pet industry to better assist customers and boost sales. Proximity to key markets: Operators need to be located in high-traffic and high-visibility locations, such as major shopping precincts, in order to maximize store traffic and sale. Economies of scope: Successful operators need a range of the most popular pets and pet supplies at different levels of price and quality. Offering a wider variety of products will attract a larger customer base. Effective quality control: Operators must ensure that pet services are up to standards for each specific animal and breed. To grow the most successful business into 2014 and beyond, position yourself at the top of the pet industry. It is imperative that you know your customers and the changing demographics. Be adaptable and readily respond to your customer base with corresponding specialty products and services. Offer pet products, foods, and services that will meet the specific needs of your customers. Those are the keys to growing a successful pet business.